Welcome to our oasis in the Candelaria, Bogotás historical center. The newly renovated quality Hostel Martinik is located within a walking distance of the main museums, squares, churches and other monuments. At economical prices, recently, under Canadian management, Hostal Martinik offers an ideal and secure place to relax. Here we want you to feel at home. - A large fully equipped community kitchen and a huge barbecue. - World-famous Colombian coffee, as well as herbal tea the hole day. - A self-service breakfast featuring toast, jam, coffee, milk, tea, and granola. - Fire protection systems, security cameras, secure entrances, and lockers. - Hair dryers, towels, and iron are also available. - Free unlimited local telephone calls, free internet computers equipped with headphones and webcams. 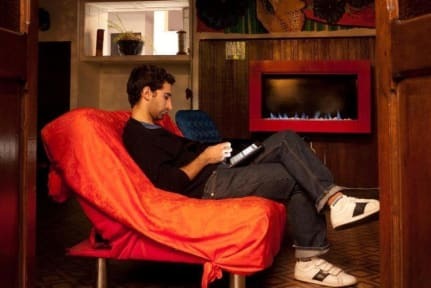 - Two WiFi access points, providing coverage throughout the entire hostel, with 4 MB high-speed connections. 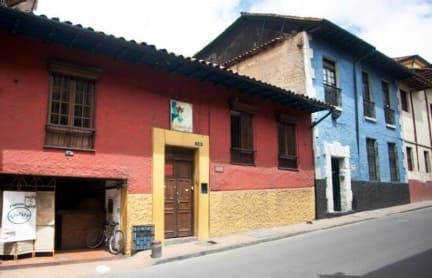 - Plenty of information about Bogotá. - A Nintendo Wii with hundreds of games as well Netflix Movie Portal access. - A big assortment of board games, tourist maps and traveler guides. - A reading room with book exchange and lots of magazines. - A lounge with a second digital TV, an extensive collection of DVDs and doubly surround system. - A gas fireplace to cut the edge of the cool nights and enhance the pleasure of exchanging stories. - Next to us a Door Pizzeria with great products. You can also purchase beers, drinks, snacks, toiletries, and implements for the BBQ from the front-desk at very low prices 24 hours a day. Additional we have Laundry Service, International Calls and lots more. Our spacious common areas, and our staff, always ready to provide excellence in customer service, will add to the enjoyment of your experience in Bogotá. Beside with lots of benefits and commission based salaries we support a fair relation ideology to our workers. You are welcome in our family-style hostel.